This December would have been the 75th birthday of the great Phil Ochs. If you’re anywhere near Liverpool this weekend then you should go to the tribute concert on Saturday. It’s at 81 Renshaw Street and tickets are only £3 – all profits in aid of C.A.L.M – a registered charity, which exists to prevent male suicide in the UK. Phil Ochs ended his own life in 1976 and in 2013, male suicide accounted for 78% of all suicides and is the single biggest cause of death in men aged 20 – 45 in the UK. 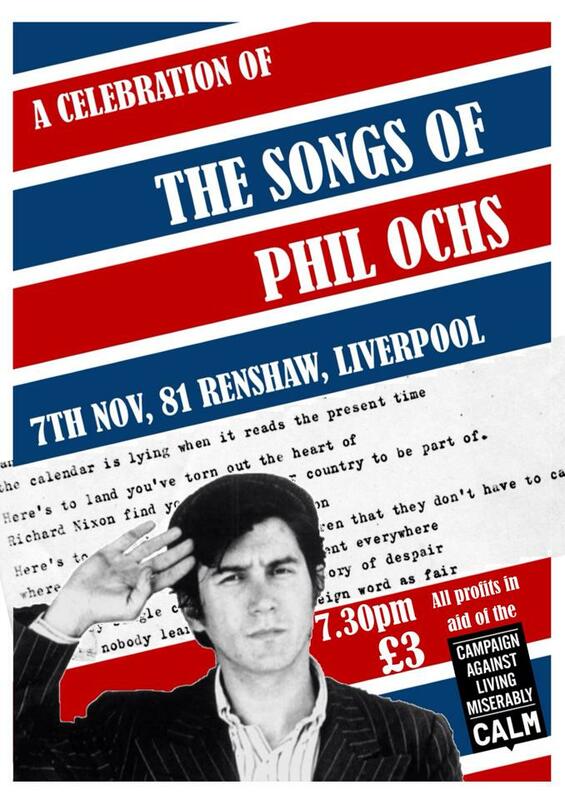 I spoke to fellow Phil Ochs fan Huw from The Swapsies to find out more. CG: How did you first become a fan of Phil Ochs?